The Nigerian Police has given a new date to former Aviation Minister, Femi Fani-Kayode, to honour its invitation. This is following the former Minister’s request for extension of time. The police have now directed Fani-Kayode to report for questioning on September 4, 2018 in respect of a petition against him. 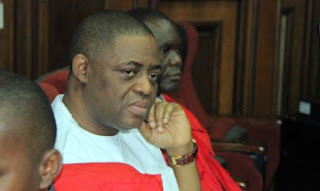 The Force in a letter dated August 23, 2018 and signed by CP Habu Sani of the Inspector-General of Police Monitoring Unit, conceded to the two demands of Fani-Kayode’s lawyers by agreeing on a new date. It also said that the invitation to the Peoples Democratic Party, PDP chieftain was in respect of criminal complaints by a law firm, Apex Solicitors. The letter read, “I refer to your letter No KACCL/OR/372/18 dated 27th August, 2018 wherein you requested for rescheduling of appointment in respect of the above subject. “Graciously the interview is now rescheduled for Tuesday the 4th day of September, 2018 by 1200hrs. The police had in a letter titled, “Conspiracy, Criminal Defamation, Inciting Publication, Injurious Falsehood and Conduct Likely to Cause a Breach of the Peace,” asked the former Minister of Aviation to appear for an interview on Tuesday . But Fani-Kayode’s lawyer, Kayode Ajulo and Co., had responded that the invitation letter was “too vague and ambiguous” and that he could only honour the invitation by September 4 or September 5.